Structural Engineers: BOMA S.L., FORT POLSKA Sp. With an expressionist mindset, we have aimed to use geometry to give shape to a new rhythmic composition that conveys feelings by balancing massiveness and verticality. 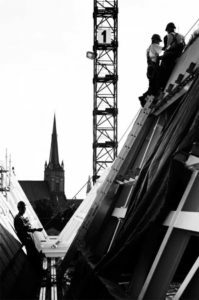 The building emerges from its urban context, influenced by the steeply pitched roofs and the verticality of the city’s residential buildings, by the monumentality of the upright ornaments of its neo-Gothic churches and the heavy volumes of its Classicist buildings, by the towers that dot its entire skyline and the cranes of its port. The use of glass as the exterior cladding material highlights how the building contrasts with the conditions of its surrounding environment. It creates a bright, transparent and upstanding object. The façade of the Philharmonic Hall is designed to achieve a homogeneous appearance, both by day as by night. The vertical shapes defines the structure of the entire volume of the building and is reflected in the silhouette of the building as a whole. The double skin façade gives an intelligent answer on the question how to enclose the building with a uniform appearance, even with a very complex program inside. 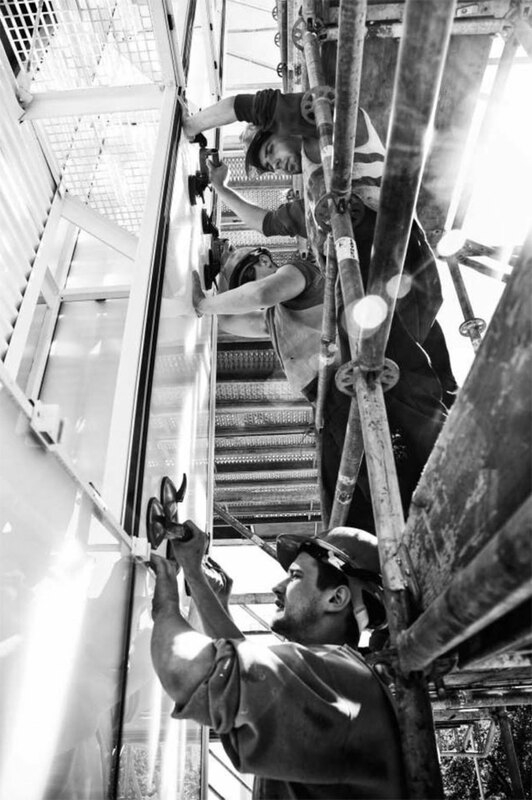 The double skin provides an improved global acoustic insulation, and has a natural ventilation to avoid overheating. All around the perimeter of the building a innovative system of LED lighting is designed and turns the building in a glowing light box by night. The roof continuous the same language of colour and pattern as the façade. 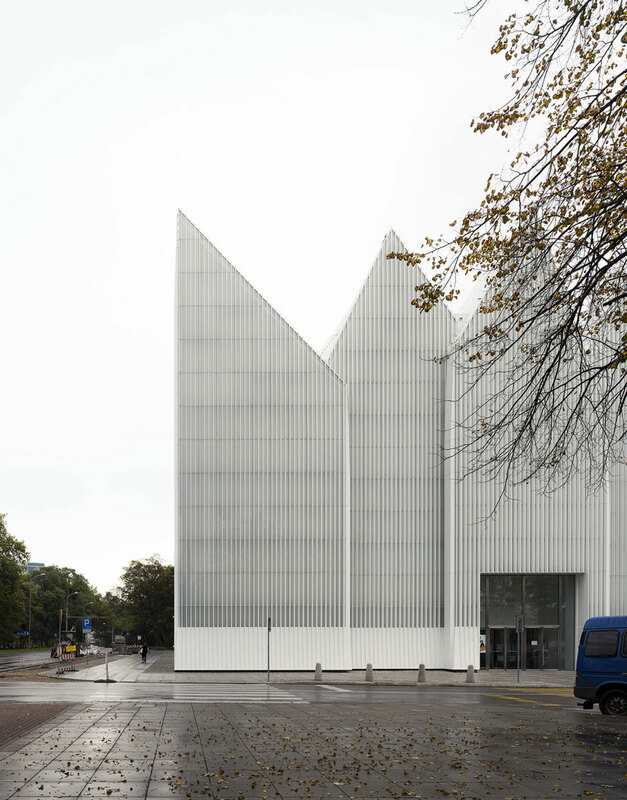 A multilayered pack with a white corrugated aluminium finish clad the big steel trusses. For sustainable reasons different roof packages have been designed with the same exterior appearance and thermal insulation but with different acoustic performances. The interior skin of the façade was designed to perform as an acoustic wall. 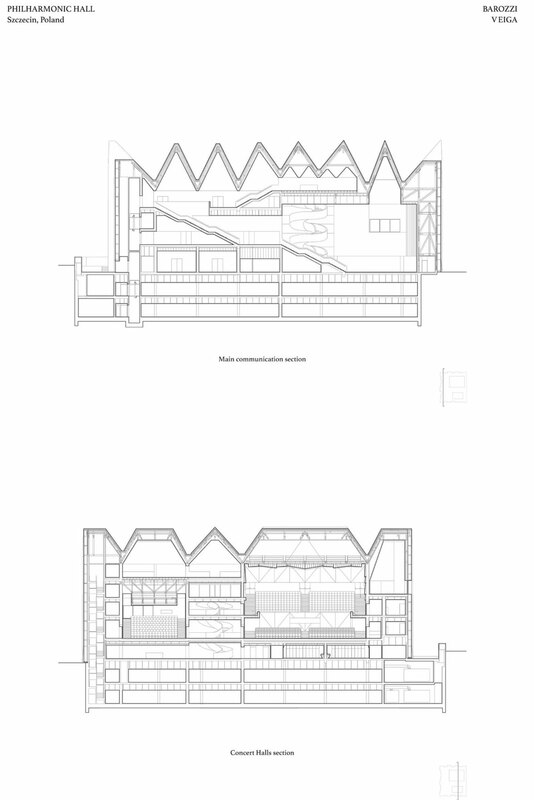 Its vibrant vertical rhythm follows the entrance hall, and continuous to the different foyers around the concert halls. 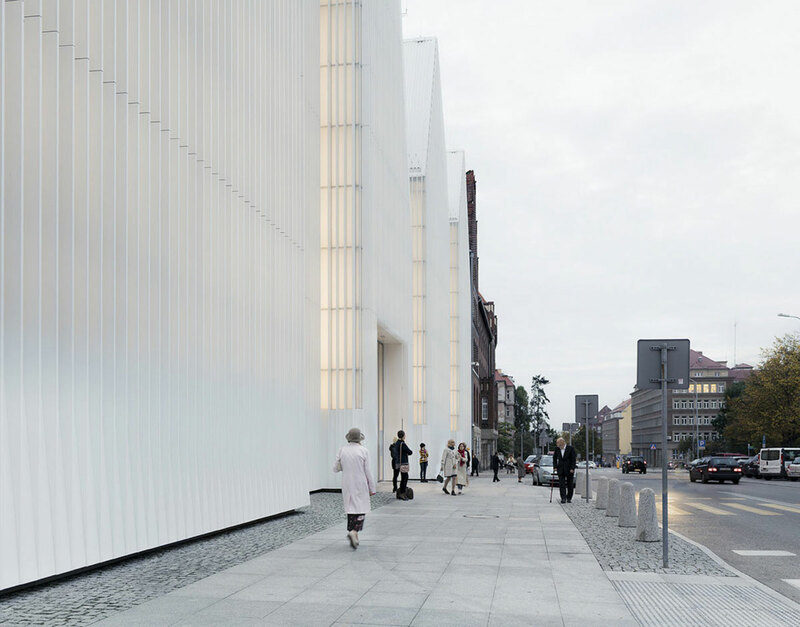 The perfect acoustic performance of this walls is adapted for a great amount of visitors and creates the possibility to organise different types of cultural events. 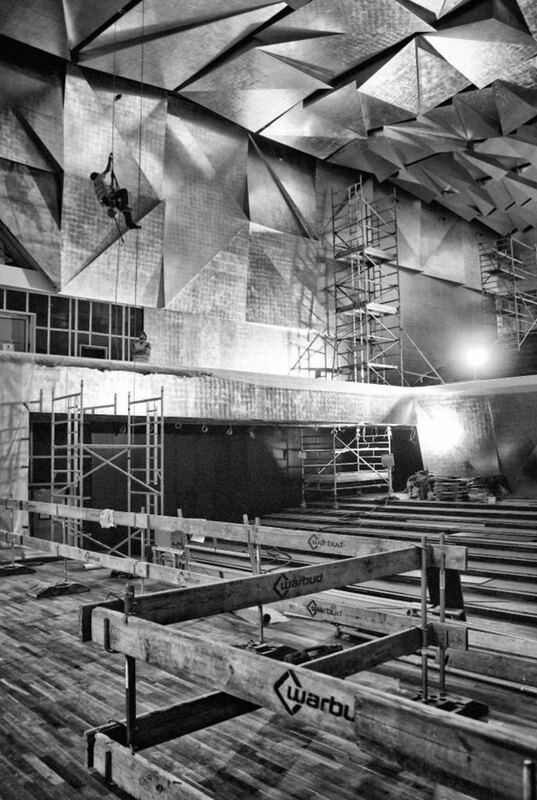 For structural and acoustic reasons both concert halls are build in concrete. 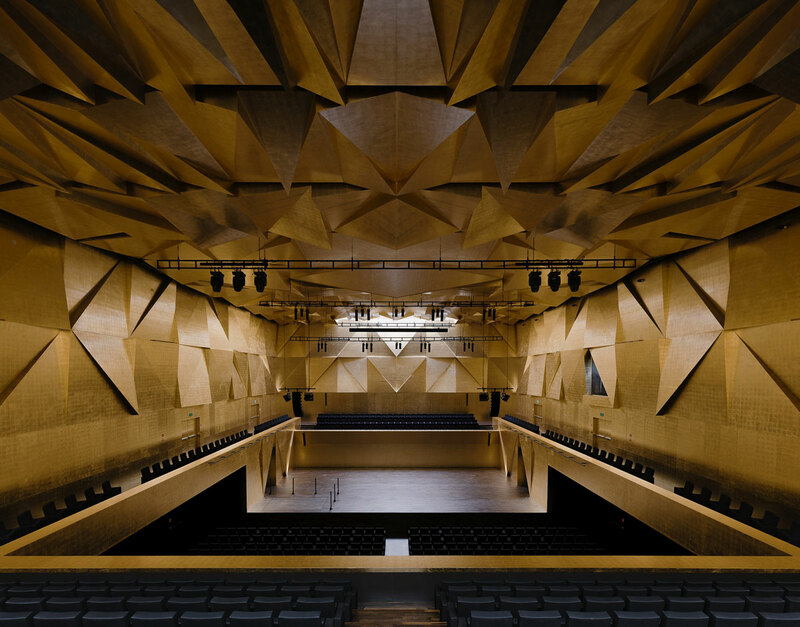 The symphonic hall is and open up box: a light steel structure covered with a carefully designed wooden cladding suspends over the audience and orchestra and provides excellent acoustics. 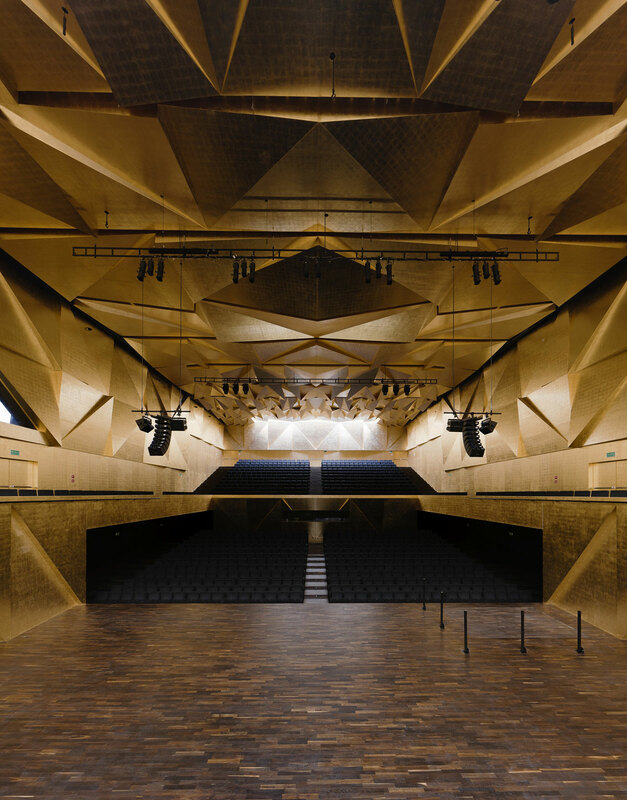 In contrast to the progressive exterior envelope, the focus of the interiors is the use of traditional craftsman’s techniques and materials: handmade hydraulic floor tiles, the use of gold leaves gilding for the symphonic hall. 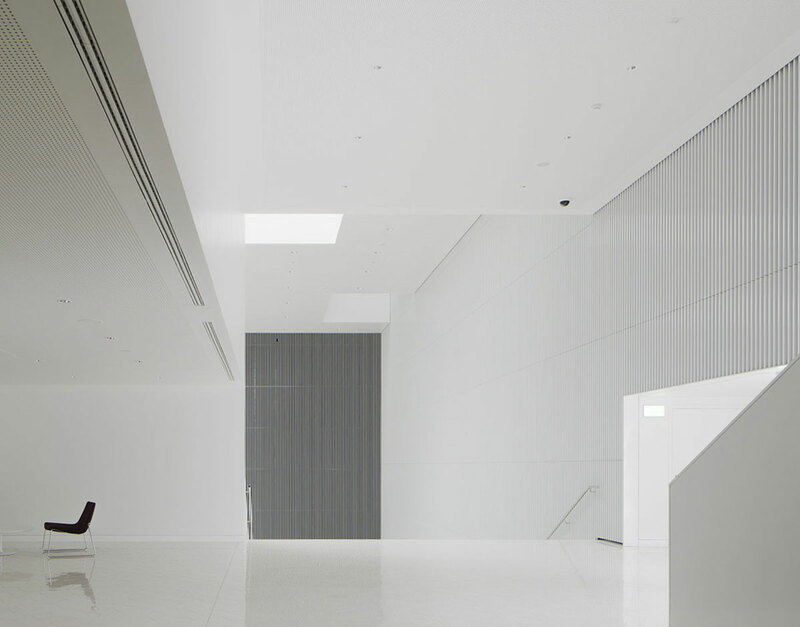 The building’s interiors are simple, large skylights being their utmost defining trait. 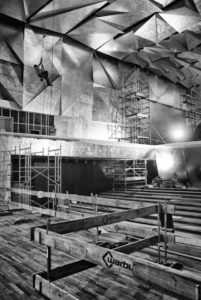 The great symphonic hall differs from these in that it is a sculpted object, embedded into a barely outlined mineral-like space. The Philharmonic Hall is mainly focused on musical and cultural performances. This program will not only be performed in the concert halls but spread out all over the building. 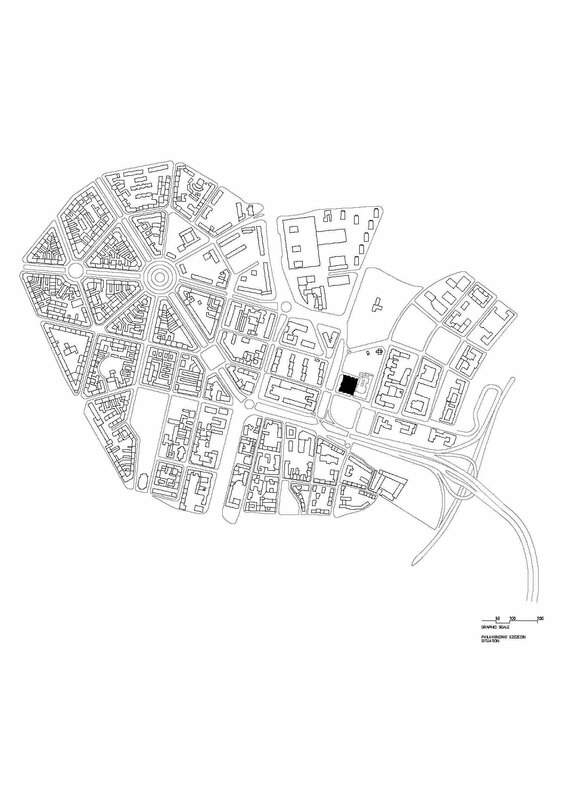 The different scales and variations of public spaces, acoustic claddings and studied illumination create the possibility that all spaces can be used as a scenario of different kinds of spectacles and cultural events. 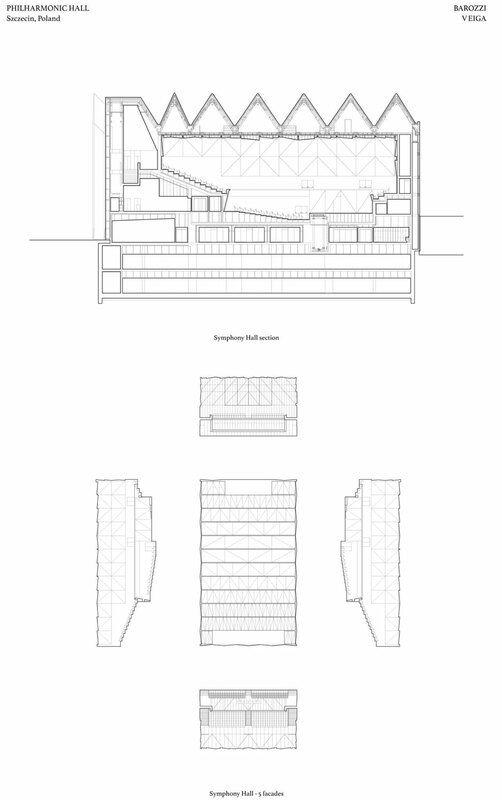 The monumental entrance hall is a large empty space with lots of daylight entering from the skylights in the roof. 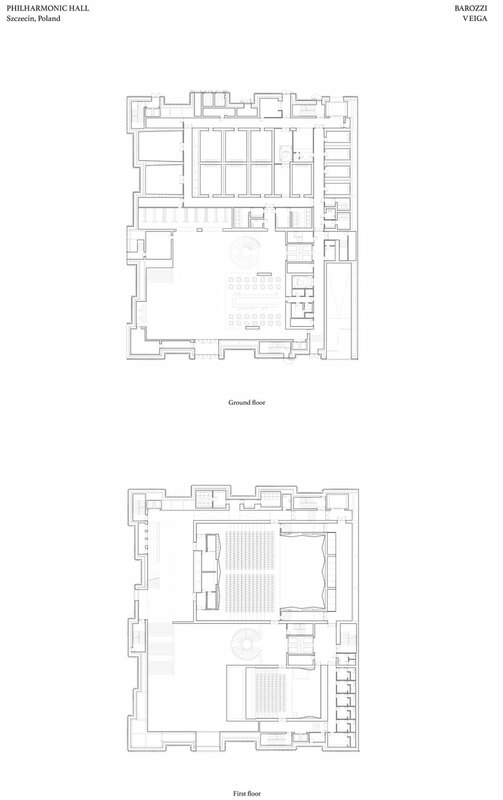 The hall is shaped by the volumes of the two concert halls and a theatrical staircase. 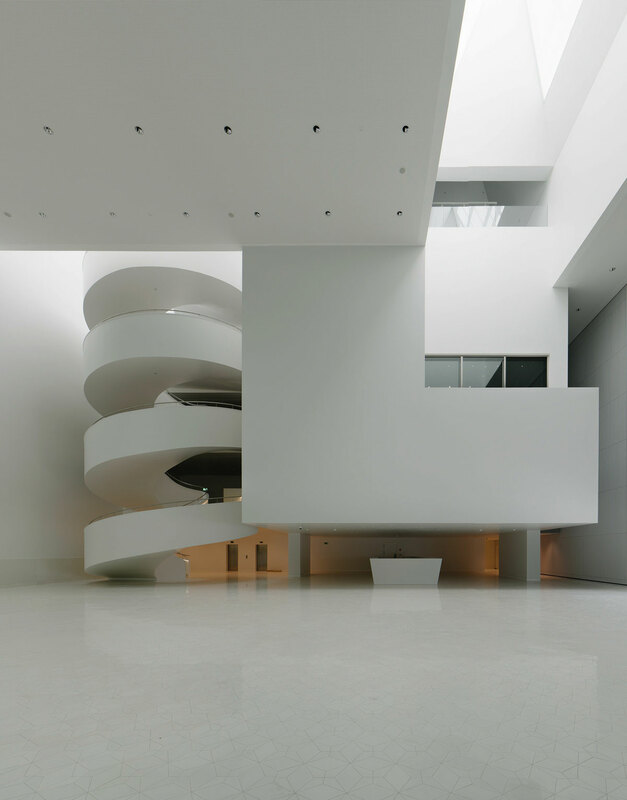 This staircase is a spatial experience in itself, bringing users through the different levels of the building. Passing from the entrances to the concert halls, by the elegant VIP room to a spectacular multifunctional space just below the pitched roof. This multifunctional space can be used for exhibitions, conferences or other cultural events and has big voids that create views and interactions with the entrance hall. The concert halls are thought as two boxes suspended inside the building. 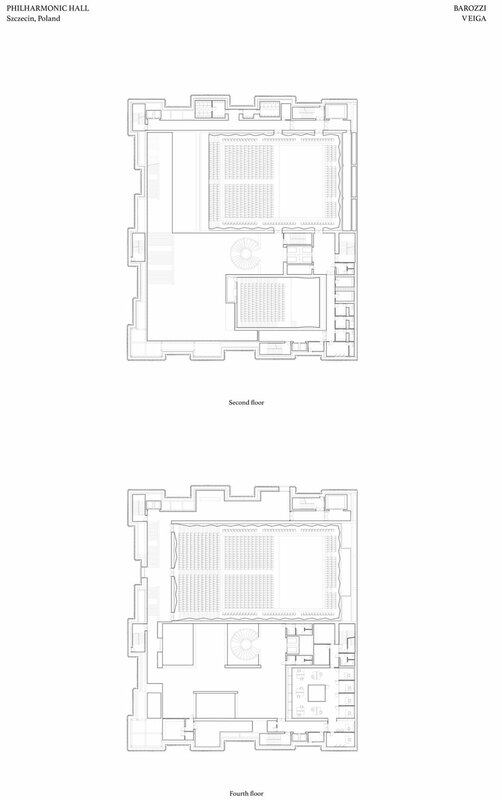 Different foyers are organised around these volumes creating a spacial route through the building. The main symphonic hall seats 951 people to enjoy the pleasures of making and listening to music. 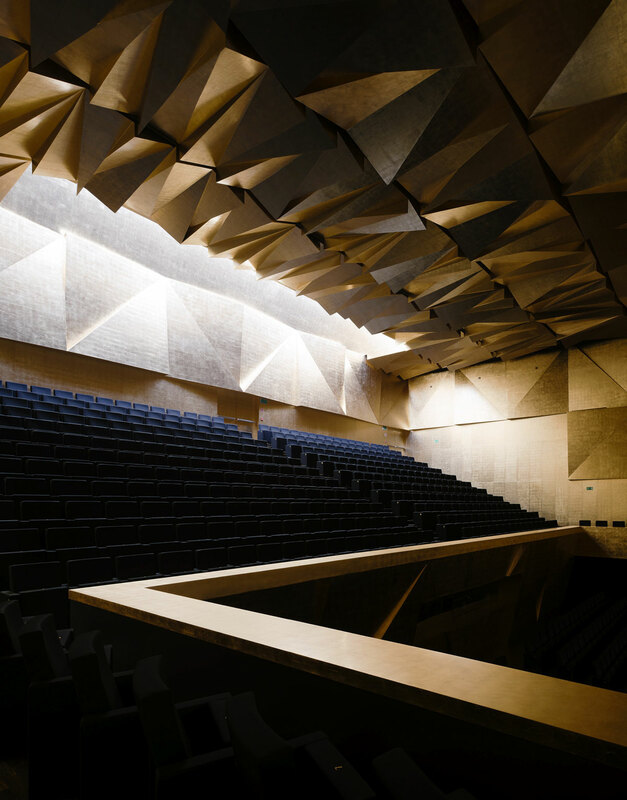 The space appears as a warm, golden space with the charm of an classical concert hall. 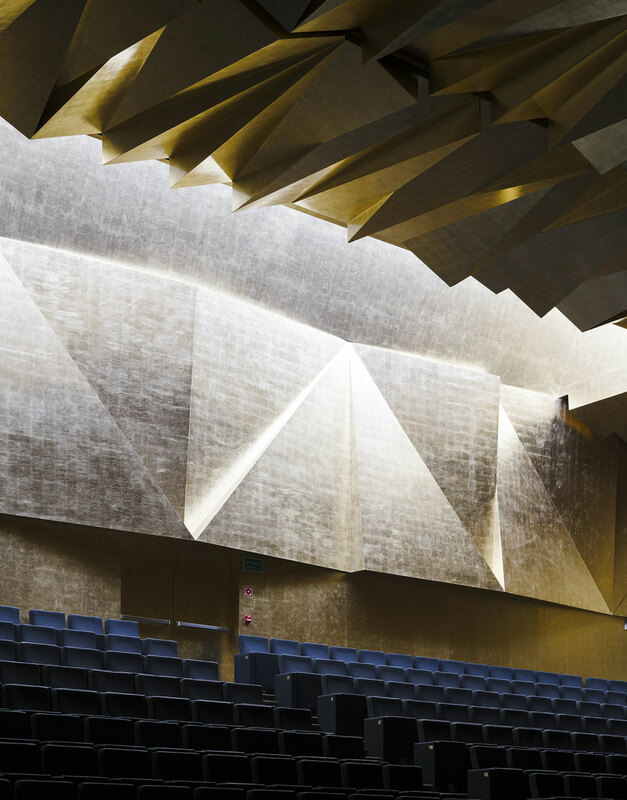 The impressive triangular shapes on the walls and ceiling are designed to create a sublime acoustic. Like in the entrance hall natural light can enter from big skylights at the front and backside of the symphonic hall. This natural light changes the golden surface of along the seasons. The chamber hall has a capacity of 192 seats. 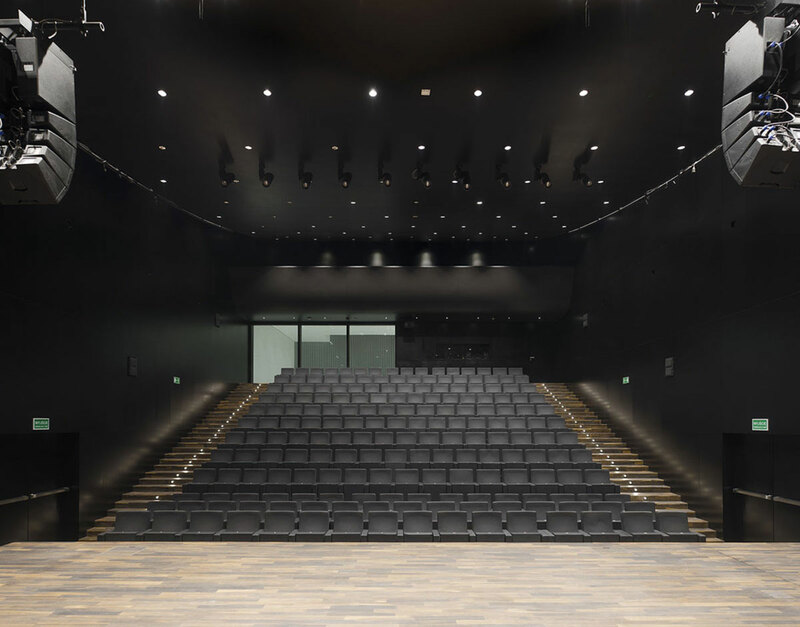 This black box has a simple curved ceiling and can host all kind of small concerts and performances. A big window at the back of the audience brings natural light in the space. 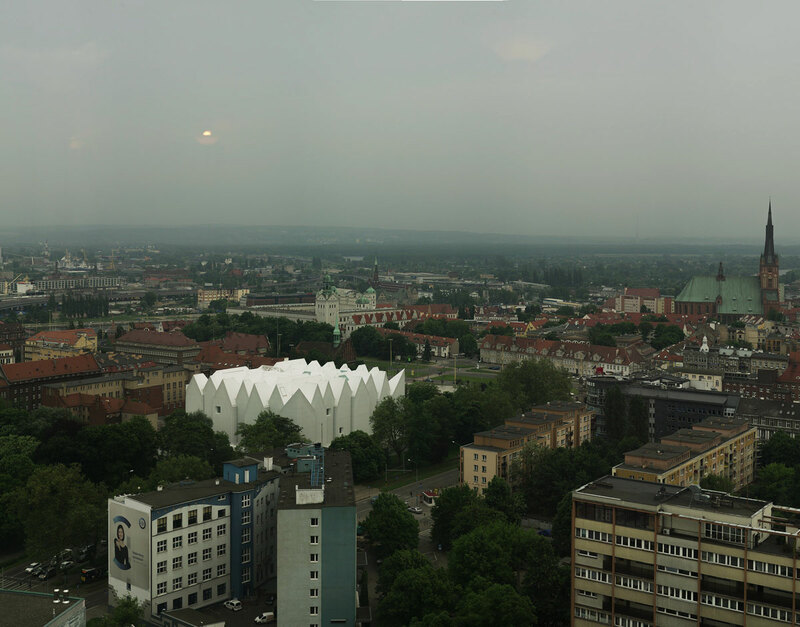 The new building is the residence of the Philharmonic orchestra of Szczecin including all its functions of repetition spaces, changing rooms, administration. 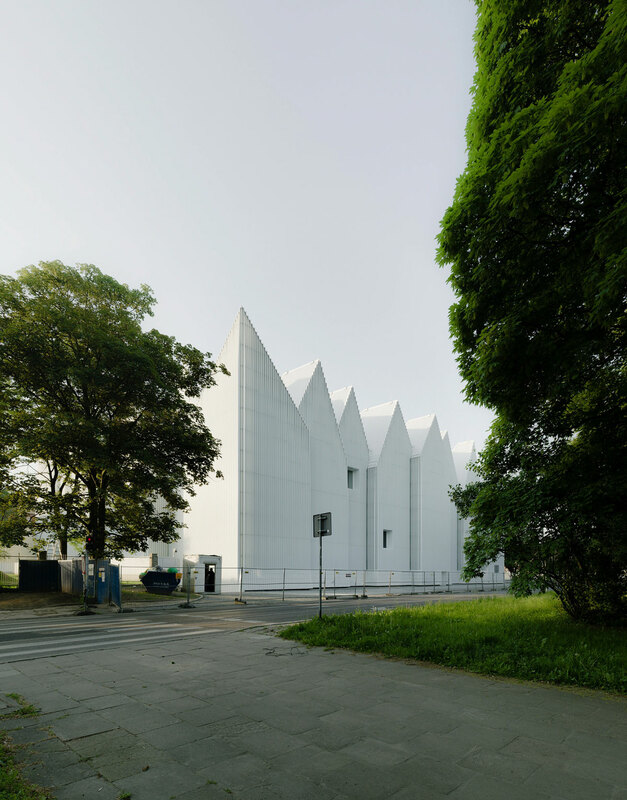 Cite this article: "Philharmonic Concert Hall Szczecin / Estudio Barozzi Veiga," in ArchEyes, January 8, 2016, http://archeyes.com/1021/.